Welcome back friends, family and fellow fastballers!! Last time we took a look at the rest; today we take a look at the best. The top 25 players in the league will be revealed shortly but before we get to this year’s most impressive players, let’s have a look at the players who were on top of the world last year but have dropped out of the top 25 this season. #25. Brandyn MacNeil (#52 this season). His fall from grace was covered nicely in the previous column. #22. Mardie Graham (#76). With only 2 games to his credit, Mardie has been seen even less this year than in years passed and that’s hard to do. He’s back now though so he could be a difference maker at some point this weekend. #19 & #18. Mike Dove (#32) & Bruce Waugh (#30). Two of the founding members of the declining pitching fraternity this season. #17. Ryan Heslep (#45). Declining attendance + declining performance = declining ranking. #15. Ryan “The Traitorous” Thiel (#49). Covered in the previous column. #13. Brad Mueller (Retired). It’s interesting to note that all three of the guys that were listed in my “I know he has question marks surrounding him…” category last season have fallen drastically this season. Maybe it’s not such a good idea to take chances on the riskier players in the leagues. #6. Mitch Madsen (#36). Details of his poor season were featured in the previous column. #4. Mike Auge (N/A). A preseason ACL tear knocked him out for most of the season. He has made a miraculous Adrian Peterson like comeback and hopes to be a factor in the playoffs. With no seasonal stats and no guarantee that his knee will hold up, it was too difficult to find the right place for him in the rankings. #1. Kirk Sangris (N/A). Last year’s #1 player has been absent all season which means that we will definitely have a new top dog in this year’s rankings. As you can see, 10 of the top 25 from last year have changed meaning that we’ll see plenty of new faces coming right up. #25. Greg Skauge (#21). Skauge slid a couple of spots this season but for the most part he’s right around where he was last year and where I expect him to be year in and year out. Not a game changer, but a player who could easily be an asset to any team in the league. His league best record of 11-1 over the past two seasons is reason enough to want him on your team. Throw in his occasional power at the plate and he’ll consistently find himself in the top 25. #24. Rob Andrews (#11). Robbie’s power numbers have dropped this season and he’s been slowed as of late by a foot injury suffered at Territorials which has caused him to drop to the 24 spot. That being said, his versatility and potent bat are a definite asset atop the Diamondbacks line-up. Despite his injuries, he’s still batting .500 on the season and has managed to leg out 3 triples. A return to health next season should have him once again knocking on the door of the top 10. #23. Mike Reddy (N/A). A player on the rise. Since making his debut in the league, Reddy has done nothing but continually improve. His defense is outstanding and his bat skills have impressed as of late. The only downside in his stats is the fact that batting at the bottom of the order has provided very little in the way of RBI opportunities. In fact, while he is in the top 10 in the league in runs scored with 11, he only has 1 RBI. Granted, that’s still one more than Primetime has. #22. Jared Ooms (N/A). The latest Diamondback to emerge from the YK Fire Department, Ooms has impressed with his moonshot home runs and his cannon of an arm. While the rookie was a little slow out of the gate, he has turned it on lately and become an integral part of the powerful HBC line-up. The ability to play any position from Catcher to Shortstop to Outfield has helped his ranking and make him the second best rookie on this list. #21. Kevin Vallillee (#7). Ishii leads the league in walks and is number 2 overall in runs scored, but a massive drop in his batting average and a reduction in power have resulted in this drop in the rankings. His defense is still top notch and that will always keep a spot open for him in the league, but if this decline continues, the player comparisons for him may change from Jose Reyes to Munenori Kawasaki. #20. Paul Gard (#16). Even though Paul’s decline hasn’t been as drastic as some pitchers in the league and even though he’s still the best chucker in the game, it’s safe to say that his best years at the plate are now in the rear view mirror. In 65 regular season plate appearances in the past two seasons, Paul has just 1 home run. He’s still the most fearsome player to face on the mound, but at the plate he isn’t swinging with nearly the same power he used to bring. #19. Joey Borkovic (#24). The heir apparent to the Slades centerfielder/lead-off hitter role certainly seems content to take his time grabbing that mantle away from Andy Stewart. While the stats had him leading the league with a .750 average at the beginning of July, he has steadily declined since then and he now sits at .542. A .200 point drop in a month is not a good sign entering the playoffs. The bright side is that he is hitting .542 and still has unmatched range in the outfield. But the breakthrough to a top 10 player that many expected when he first burst on the scene has yet to happen… and many are now questioning if it ever will? It does say, “Jared MacNeil”. You know it’s a shock that a player is in the top 25 when after posting part 1 of the list I get a text from the player in question saying, “I think I can safely assume that I didn’t make the top 25 so where did I end up ranking this year”. Jared has not only shocked the world with his ranking this year, he’s obviously shocked himself as well. To his credit he has more than doubled his batting average and tripled his extra base hits total this season while cutting his strikeouts in half. I guess the Orioles knew what they were doing when they poached him from HBC in the offseason. Too bad they can’t say the same about Blewett. #17. Brian Couvrette (#9). Couvrette’s numbers are down across the board this season: average, extra base hits, home runs, RBIs, runs, steals. The only number that’s higher this season is his number of strikeouts. However, he still contributes in all of the categories and can play excellent defense anywhere on the field which is why he finds himself in the top 20 once again. He may not have the power and skills of his brother, but for this season at least, he remains the top Couvrette in the league. As for next year… I think Sub-Arctic is looking for a player Brian. #16. Andrew Stewart (#27). Once again, Andy has missed more games than he’s made it to this season, but when does manage to make it to the field he looks like the Chachi of the early 2000’s. He’s hitting .500, driving in runs, scoring runs, and he’s even rediscovered his speed and has swiped a few bags this season. Early season line-up experiments had Andy down in the bottom half of the order, but his play since then has solidified his decades-long stranglehold on the lead-off spot. #15. Matt Whiteford (N/A). Matt is one of the key reasons that the Red Sox have improved so much this season. His discerning eye at the plate and smooth swing have helped sparked the Red Sox offence and led them to their most wins in franchise history. Unfortunately, the Red Sox will be missing Matt this weekend which severely hampers their chances of making noise in the playoffs. #14. Andy Penton (N/A). Long known for his flawless defense and effortless style in centerfield, this season Andy has found his stride in the batter’s box as well. He’s leading the HBC Diamondbacks with a .591 average and has even found a little bit of power in his bat. He’s top 5 in the league in average, top 15 in RBIs, and is still one of the two best defensive centerfielders in the league. Well deserving of a spot in the top 20. #13. Ryan Sheppard (#28). Chicken. #12. Darin Strain (#5). A thumb injury and several East Arm fishing trips limited Darin’s playing time this summer but when he was in the line-up he was his usual self; batting over .500, hitting for power, and showing a complete lack of speed on the base paths. His catching skills, extensive knowledge of the league’s best hitters, and healthy lifestyle ensure that Darin will find himself near the top of this list for years to come. #11. Marcus Watt (#12). Last year’s rookie of the year has crept up slightly in this year’s rankings. He’s not hitting with anywhere near the power he displayed in his rookie campaign but he’s also not striking out with the same frequency and is actually hitting some singles, doubles and triples to go along with the long-balls. In fact, he’s got the 4th best OPS in the league suggesting that a trip into the top 10 is likely in the cards for next season. 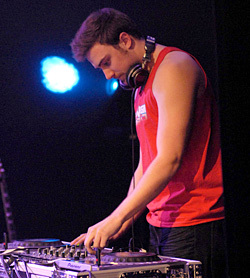 Figure 1: DJ Cynergii in action. #9. Chad Hinchey (#8). DJ Cynergii has once again proven that it is possible to be at the top of the music world and the top of the sports world at the same time. Following in the footsteps of Oscar De La Hoya, Shaquille O’Neal, and the 1985 Chicago Bears, Cynergii has taken Yellowknife by storm both on the field and on the turntable. His 2.013 OPS trails only the top two guys on this list and if he spent less time in the studio, and more time on the field, he’d definitely be a top 5 player. But then again, when you’ve got this many talents, why limit yourself to focusing on just one? #8. Rick Morrison (#23). Ricky has always been known for his speed on the base paths and this season he’s been able to use that speed much more often due to the improvement in his hitting. He’s raised his batting average 135 points this year and is that catalyst that makes the Sub-Arctic machine roll. In addition to his batting improvement, Ricky has also refined his leadership roll this year with the Surveyors. He brought the team back from the brink of destruction in the offseason and his motivational pre-game speeches are epic. #7. Ryan Nichols (N/A). The HBC scouts have done it once again, turning a late first round pick into an all-star. The runaway favourite to take home the Rookie of the Year award this year, Ryan has been tearing it up for HBC in all aspects of the game and is deservingly their top player on this list. In addition to slugging his way into the hearts of D-Backs fans, Nichols has also been a stand-out on the defensive side of the ball. He’s willing to play any position and excels wherever he’s put; there have even been rumours that he might try his luck on the mound next season. #6. Jon Whitford (N/A). After a down season last year, Whitford is back to the form he showed in 2011 and near the top of most offensive categories. The home runs might not be there this year but Jon is tearing the cover off the ball nonetheless. He’s 2nd in total hits, 1st in doubles, 3rd in triples, 2nd in runs scored, and 7th in RBIs. A solid all-around performance and a nice bounce back from last year’s slump. #5. Matt Simms (#10). Lance continues to roll along, doing what he’s always done. He’s leading the league in hitting with a .625 average and provides that little bit of attitude that the Slades boys need to keep them motivated. Despite his age, his defense shows no signs of slipping and he calls one of the best games of any of the catchers in the league. Also, with apologies to Healy, Matty remains the best in the league at bunting for a base hit. #4. Ryan Strain (#3). Speaking of consistency, Mr. Strain is once again smoking the ball and finds himself near the top of the rankings. His power has been down this year as he only has 2 home runs to his name but he is near the top in average, hits, and RBIS, and you can’t put a price on the sage wisdom he bestows upon Mitch during his recurring hissy fits. A father figure in the clubhouse and an MVP on the field, this guy personifies fastball greatness. #3. Glen Tingmiak (#14). Tinger has been outstanding on the mound this season, putting up some of the best numbers in the league. On the offensive side he’s been just as potent; he’s number 2 in the league in HRs and is top 10 in runs, RBIs and OPS. Along with one of the guys just ahead of him on this list, Glen is a major reason why the Orioles have looked so good in their inaugural season and sit in first place in the standings. It’s been a remarkable season for Case and it’s unfortunate that we don’t get to see him in action this weekend. #1. Andy Williams (#2). The reason that you see so many 2nds in Devon’s rankings above is because of this guy. He’s got almost double the home runs of the next closest player, 9 more RBIs, and is only .021 away from leading all three Triple Crown categories. Last year there was a very tight three way battle for the top spot in the rankings. This year is was no contest. As impressive as Devon’s numbers above were, Andy leads him in 7 of those 10 categories listed. Add in his 5-1 record on the mound and his ability to play anywhere on defense when Tinger’s on the hill and you’ve got yourself the most valuable player in the league, hands down. There you have it, folks. 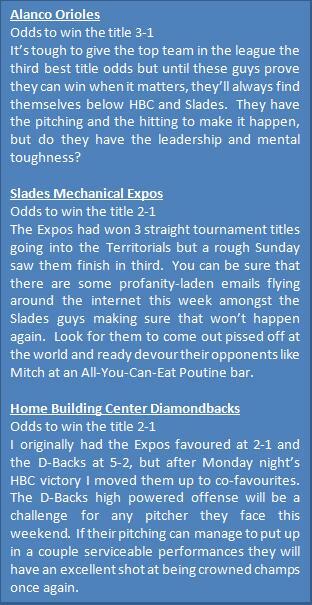 The definitive list of the best of the best this season in YK Fastball. If you didn’t see your name on the list you’re obviously outside the top 25. So spend the winter hitting the gym and the batting cage and come back next season ready to play. If you are in the top 25, Congrats!! But you’re still no Andy Williams. Last year’s rank is listed first, and then their rank this season in the brackets. Although his Facebook updates tell me he’s got his fastball finals this weekend as well. Good Luck!! Kevin has 10 walks and 18 runs scored but his batting average has dropped from .580 last year to .379 this year and he only has 4 extra base hits this year compared to the 15 he posted in 2012. Although given the line-up he has surrounding him these days, it’s also pretty safe to say that he’s probably not seeing the same quality of pitches that he did in the past. Last year: .222 average, 2 extra base hits, and 8 Ks in 29 PA. This year, .538 average, 6 extra base hits, and 4 Ks in 30 PA.
 He’s number two in the league in walks with 9 only trailing every pitcher’s least favourite batter, Kevin Vallillee who has 10. Impressively, the D-Backs have 6 guys batting over .500 this season and an additional 4 guys batting over .400. This is even more impressive given the fact that he was batting in the 7 or 8 spot for most of the season. No offence intended to Primetime, Andy Stewart, or anyone else who patrols CF from time to time, but in my opinion, Borko and Andy are the two best defensive outfielders playing today. And it’s not even close. For those of you not in the know, OPS is On Base % plus Slugging %. Basically a very simplified measure of how good your overall hitting is. For the record, Devin Hinchey checked in at #40 on the list. However, if Territorial performance had been factored into the equation, he’d definitely be giving both of his brothers a run for their money. Meanwhile, with one game played this season, Brent checks in somewhere down in the high 70’s. Probably slightly ahead of Keegan. If he can pitch and bat clean-up, where does that leave Bruce? i.e. Crushing the ball to right field. Why he feels the need to when he’s leading the league with a .625 average is a question I can’t answer but nonetheless, when he lays one down it’s usually a great bunt. Greatness? Yes. Class? Not so much. Did anyone else hear Ryan’s interview on CJCD yesterday talking about the league championships and specifically the Orioles? You have to love it when your league president gives zero credit to the team that finished first in the standings. Well said Rhino, well said. The Cy Young award is a two horse race this year. I’m good with either one being named top pitcher. If memory serves, last year there was a total of 5 points separating 1st and 3rd in my calculations. This year, Andy is in first place by 13 points. Well, except for you Andy, but you still haven’t won a title since the last Pirates tournament… so all the HBC and Slades guys have you beat in that category.